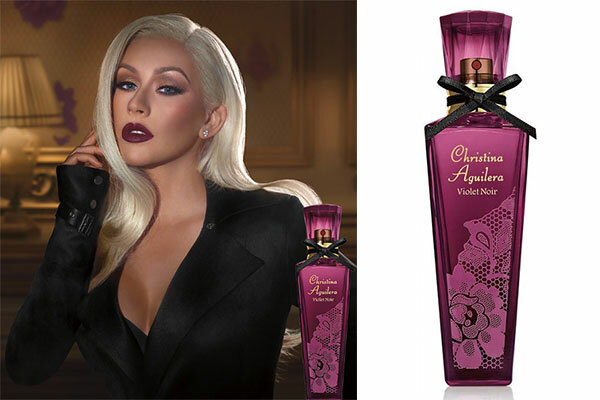 The latest celebrity perfume launched by Christina Aguilera is Violet Noir. A floral oriental fragrance for women featuring sensual fruit notes of grapefruit and passion fruit; blended with the floral scents of nectarine blossom, orange blossom, iris, and rose; with a dry down of musk, patchouli, and golden amber. The Definition perfume bottle is updated with a plum hue and golden accents. 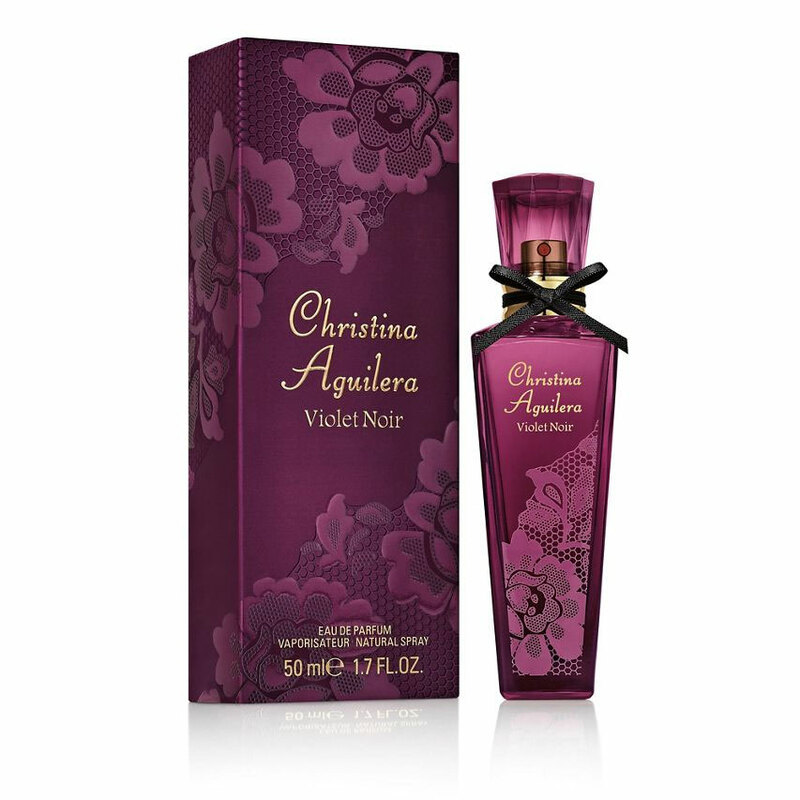 Launched in September 2018, Violet Noir is available at Debenhams in an eau de parfum spray (1.7 oz $39). 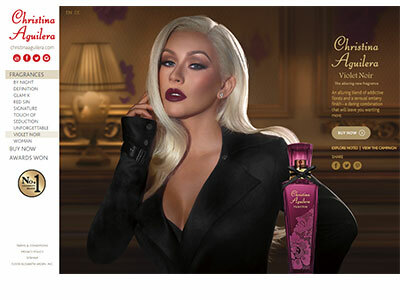 The campaign features a sophisticated Xtina in a long black satin evening jacket-style dress. VIOLET NOIR - The alluring new fragrance. 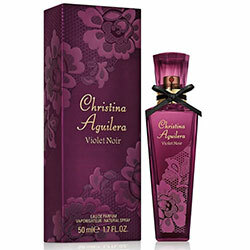 'Violet Noir' embodies a strong, independent and sensual woman. A woman who is mysterious, daring and hard to predict. Through her addictive new fragrance, she gives us a glimpse into her world and leaves us wanting more. An alluring blend of sparkling fruits opens into a voluptuous, sensual floral heart with an edge of golden amber. A daring, addictive fragrance with a modern texture and an irresistible noir contour.